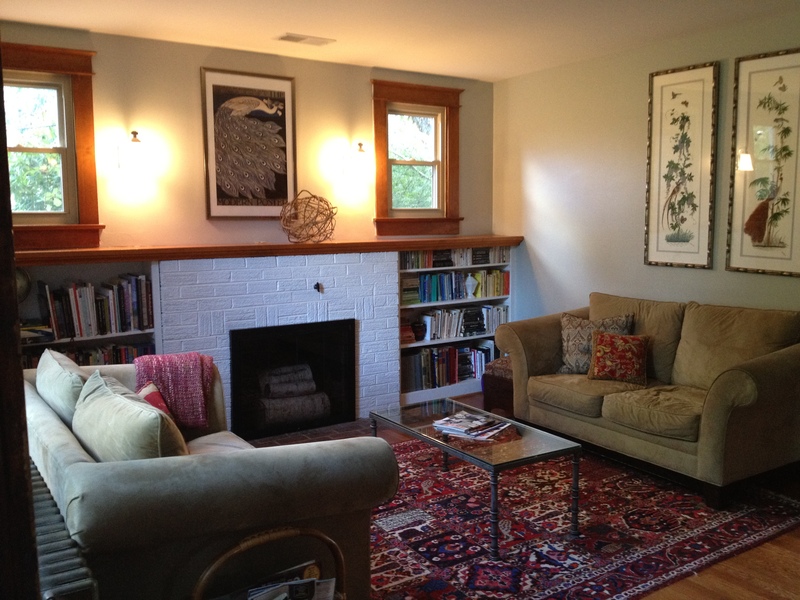 After only eight months, the living room is now in its fourth configuration. The most recent arrangement looks so natural and feels just right, that I cannot believe it took so long to get it this way. 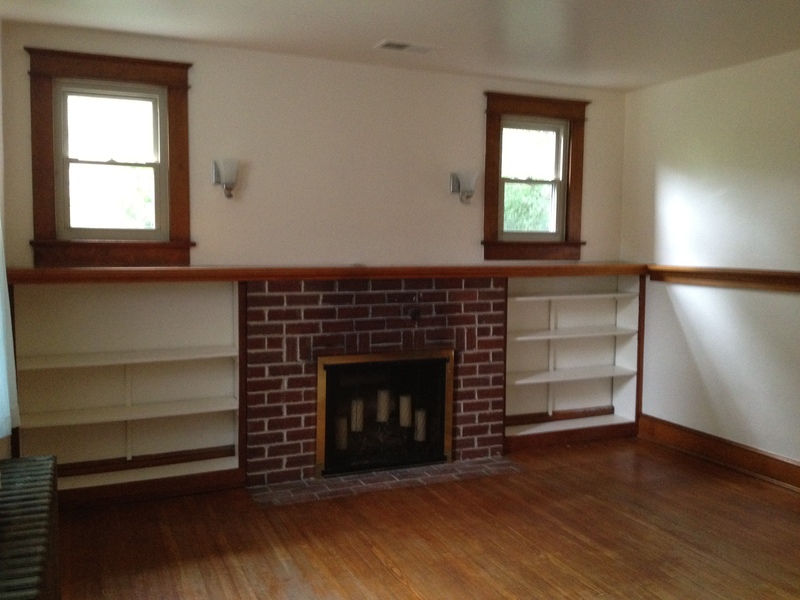 The floors were sanded and redone and a fresh coat of paint spruced up the bricks, ceiling and walls. 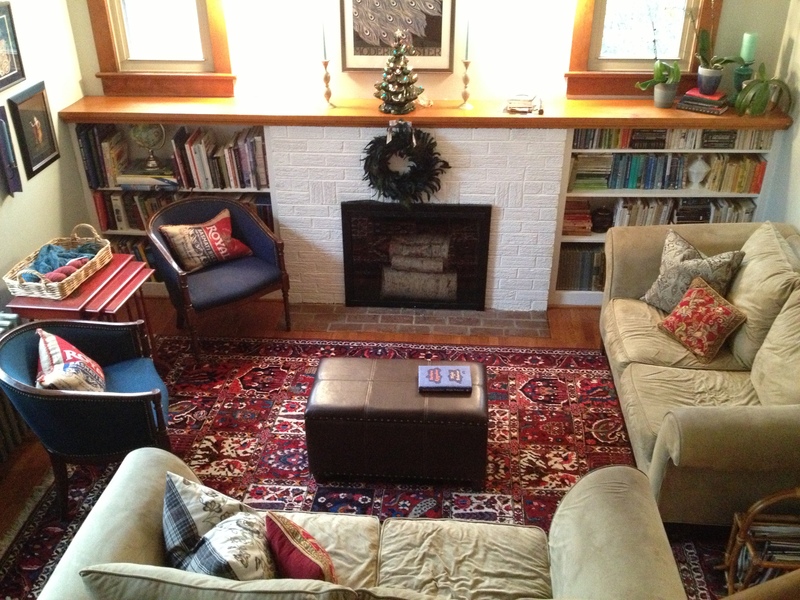 In configuration #1, the sofas were placed across from one another, adding to the symmetry of the room. The glass coffee table felt spacious and open, but was quickly replaced, to reduce the risk of concussion to the baby’s head. It also hides away a ton of toys, doing double-duty. Then, I threw in the blue found chairs. As winter settled in, I wanted to draw up to the fireplace, so I changed the arrangement again. 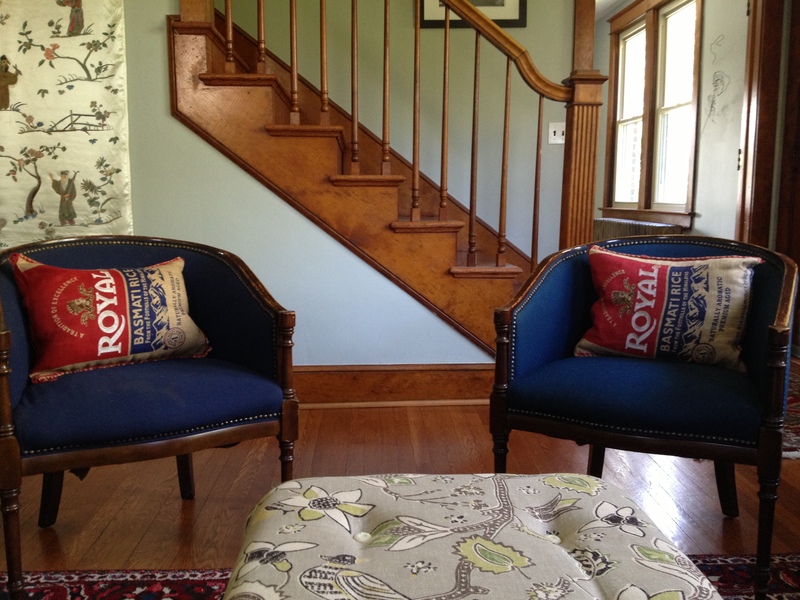 The sofas were in an L-shape, with the blue chairs under the windows. This felt cozy and friendly for fires and conversation. However, it cut off the room and made it feel small. A quick rearrange of the furniture. 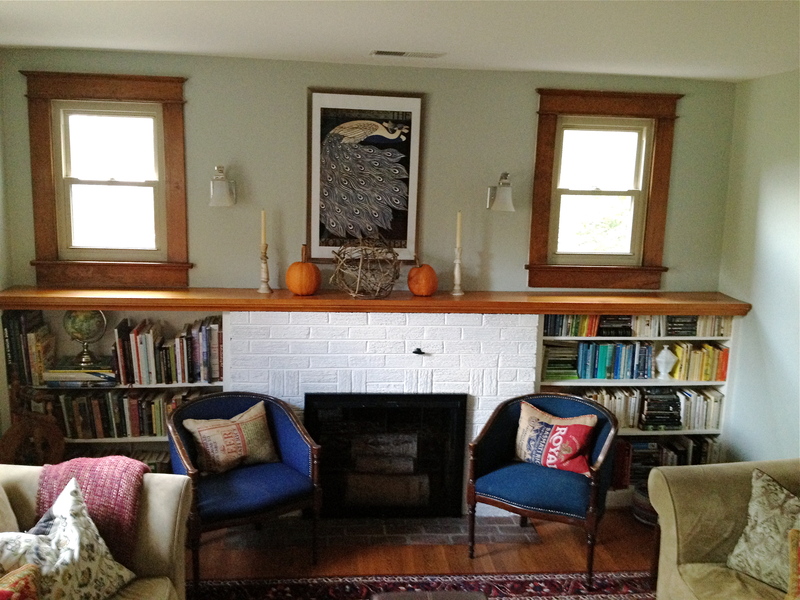 Our living room is a “working room.” There is no family room nearby that gets all of the actual use. 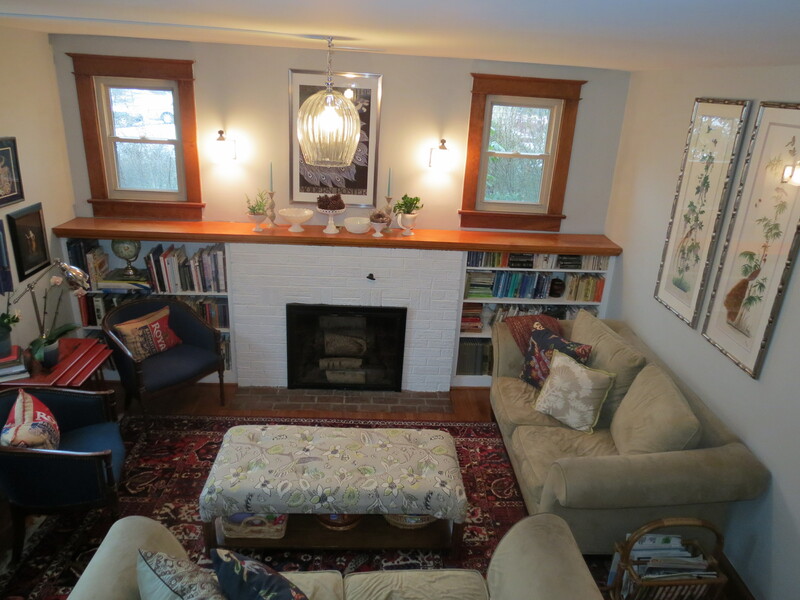 We use this living room for conversation, fires, fort-building, wine-drinking, reading and games. It gets a hard work-out. In configuration #4, I have put the sofas back across from one another. Still keeping them close to the fireplace, I have placed the blue chairs directly across from it. This arrangement opens up the room, keeps the conversation area intact, and allows extra space for the traffic to flow easily through the room. 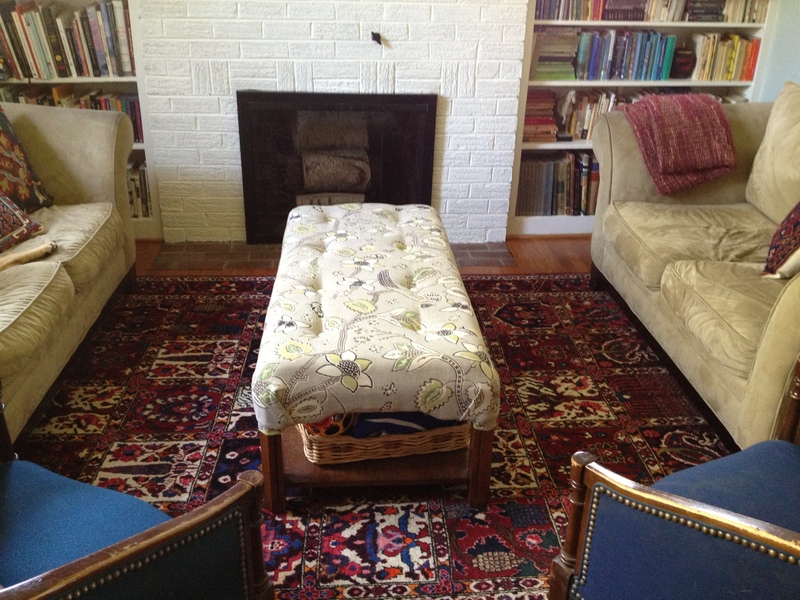 The ottoman, which seemed overly large before, now fits perfectly, and is turned 90 degrees. It still holds a ton of toys. 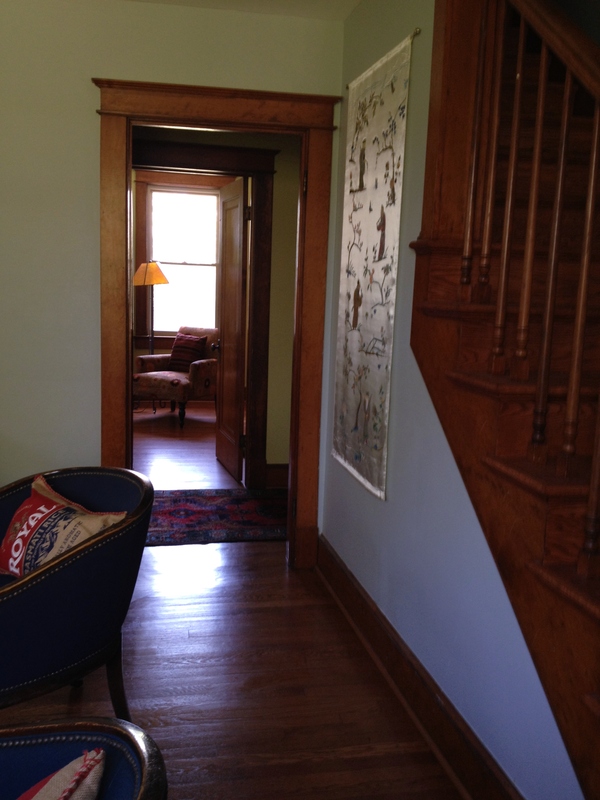 A simple change like this can freshen a room. My room now feels summery and new; not just because I had to face-down all of the dog hair that was gathering life under the sofa. Rearranging the furniture is a quick pick-me-up for a tired room. Give it a try! 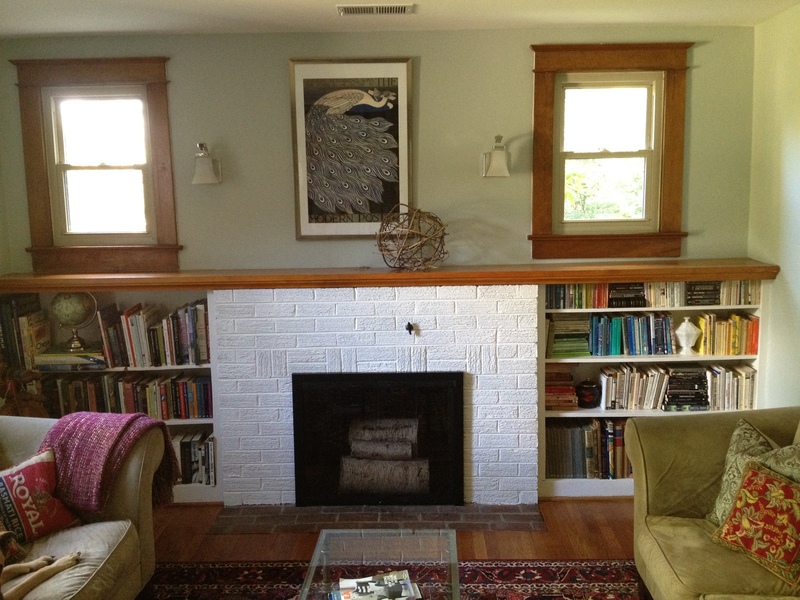 Push the sofas around, hang some art, and then send me pictures! Or better yet, invite me for coffee or wine, to admire the changes in person. Or, just let me know what you did in the comments section of this post. You will be surprised with the results, and you will not have to spend a dime. © copyright Mariam d’Eustachio 2013.